Samsung’s Galaxy S line is the most successful by any Android OEM and the numbers and impact wherever you are in this world is there for you to see. Owing to the iconic status of the Galaxy S line, it has become the norm rather than the exception for Samsung to hold a separate event every time they’re announcing a new member of the Galaxy S lineup. Seemingly this year’s expected release of the Galaxy S5 won’t be different. According to one @flapic, Samsung will launch the Galaxy S5 in an event sometime in mid-March. Mid-March is not a surprise since it syncs well with the traditional Galaxy S announcement date which has been anywhere between late Q1 (Galaxy S4) and mid Q2 since the first Galaxy S device was announced back in June 2010. 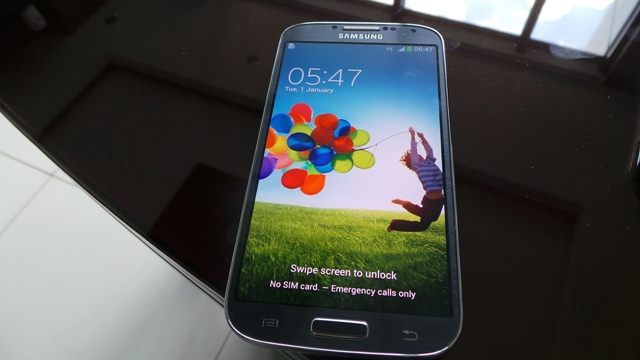 Previously rumours had pointed out to a February release date citing the Galaxy S4’s purported weak sales since it apparently failed to beat the internally set target of shipping 100 million units. There’s also that rumour that won’t go away of Samsung working on a premium line of Galaxy devices that will feature the metal body that many have been yearning for. Though there’s nothing concrete to suggest the existence of the rumoured Galaxy F, we cannot it rule out. Then again there are also some very beautiful Galaxy S5 concept designs out there. Whatever the S5 will be, I just hope it will be everything that a 2014 device should be. Read: Galaxy S5 rumours begin in earnest, here’s what we know so far.